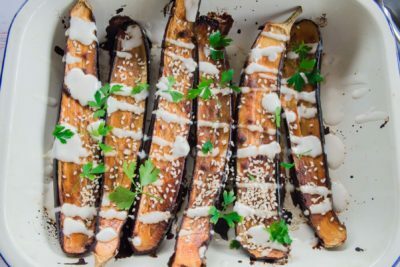 My healthier take on an all time favourite which you can get on the table in less than 30 minutes! For this super healthy version I’ve used chicken instead of pork to reduce the amount of saturated fat and added a whole lot more veggies. It might not be exactly traditional but it’s a lot healthier and still tastes delicious! It makes a great weeknight dinner but can also be an impressive looking starter if you need something a bit fancy. Heat half the oil in a wok over medium-high heat. Add ginger and garlic and cook for 1-2 minutes or until softened, then add chicken and stir fry until browned. Set aside. Heat remaining oil in wok, then add cabbage, spring onions, mixed vegetables and water chestnuts. Stir fry for 3-4 minutes until softened slightly. Stir through oyster sauce and soy sauce. Gently separate lettuce leaves and place 4-6 of the smaller leaves onto serving plates. 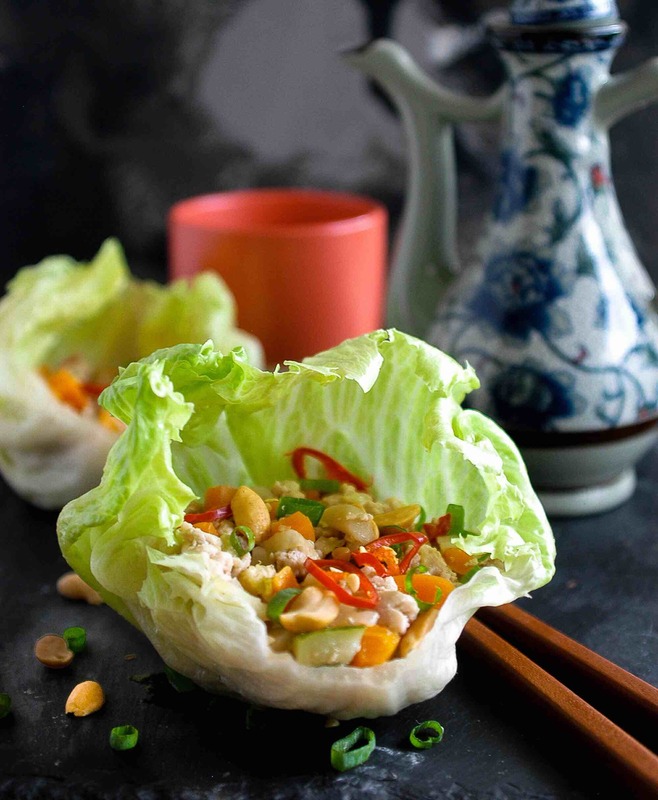 Spoon chicken mixture into lettuce cups, top with peanuts, coriander and chilli and serve.